Are you looking for the best way to sculpt and tone your body with a low-impact workout that will leave you feeling great? Then we've got you covered. 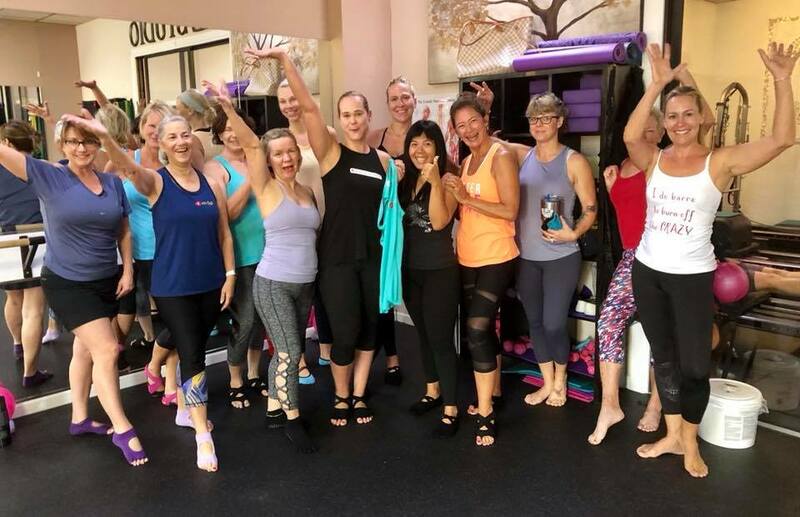 Our Barre Classes in Venice offer women and men of all ages and abilities a revolutionary new workout program that produces incredible results. With our team at BodyByBarre, you can transform your entire body and enjoy every minute. What Are These Barre Classes Like? If you're new to Barre, you're in for a treat. This low-impact fitness training program takes movements and exercises from Pilates, yoga, and ballet, combining the best elements for a total-body workout that helps you burn calories and build strength. At BodyByBarre, our classes are great for all experience levels - and we're always changing it up to keep you on your toes and keep your body guessing. 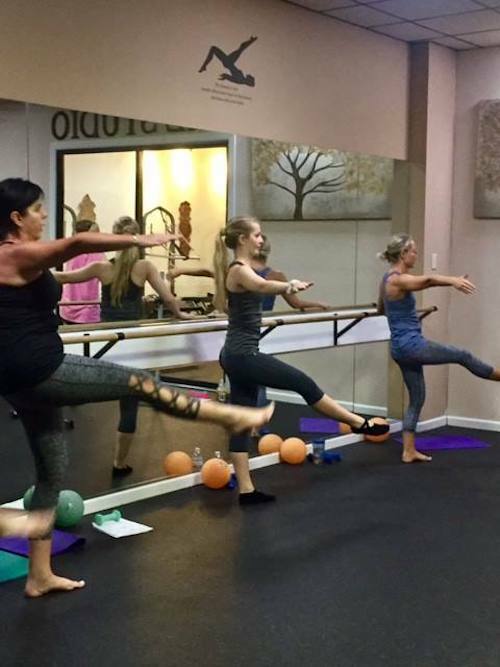 Barre Burn & Sculpt - Our signature class burns fat, sculpts, tones, and elongates your body with a powerful blend of dance exercises, Pilates and yoga. Every class is different as we vary our moves with combinations of weights, balls, bands and low-impact cardio intervals for added fat burning. Set to motivating dance music, barre will quickly improve your posture and balance. It tightens and lifts the tush, lengthens the legs, and firms-up arms and shoulders. A total body workout in 55 minutes. Barre Core & More - Our signature barre class amps it up for the abs. You’ll burn fat, sculpt, tone, and elongate your body with barre moves and low-impact cardio, followed by a longer series of targeted moves that will tighten and strengthen your “six pack” of ab muscles. We use a mix of weighted balls, “buddy” balls, assorted resistance bands and more. Workouts vary from class-to-class so you’ll be surprised, and so will your body, and that’s why this powerful class works so quickly. Intermediate level, with modifications for beginners. 55 min. Barre Xpress - A heart-pumping, total-body-workout that sculpts, tones and challenges you with highly efficient compound moves and low-impact cardio intervals. Our always changing barre moves are amped with a variety of resistance bands, weighted balls and other props challenging all your muscles and giving you a total-body workout in a shorter time. 45min. Barre Flow - Our low-impact, slower-paced class focuses on form, balance and flexibility with a combination of dance exercises, Pilates and yoga. You will learn, and develop strong fundamental barre moves as you flow through a total-body workout at the barre and on the mat. 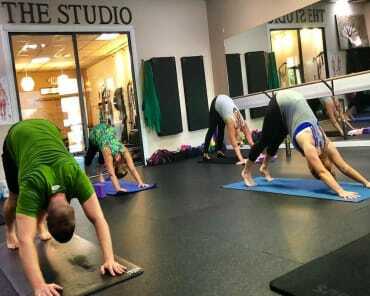 We keep the class small and include extra instruction and stretching, making this a perfect class for beginners or experienced students who want to improve their form. 45 min. Barre Mixer - We keep you guessing and you keep your body guessing in this fun, fusion class. You’ll get a total body barre workout with a surprise extra focus. One class it may be Love Your Legs day where your quads and hamstrings get extra attention, or maybe it’ll be Focused Interval Training, where we amp up your cardio. Embrace the unknown and challenge yourself to a great total body workout! Your body will thank you. 55 min. 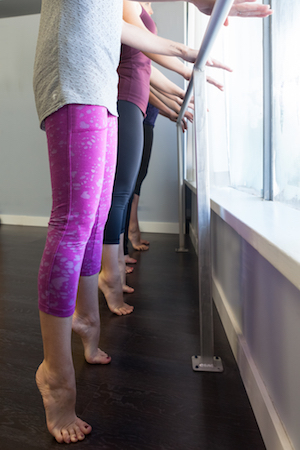 What Makes Our Barre Classes Different? At BodyByBarre, we take pride in meeting the needs of everyone who comes through our doors. That means offering classes and instruction that will challenge everyone from beginners to experts. Unlike a lot of fitness classes, Barre offers your body a low-impact feeling with high-impact results. You might wake up sore but you won't suffer the agonizing joint pain that so often accompanies traditional fitness classes. You don't have to feel stuck at your big box gym any longer. At BodyByBarre, we're offering a true alternative to traditional fitness training that produces results like you never thought possible. 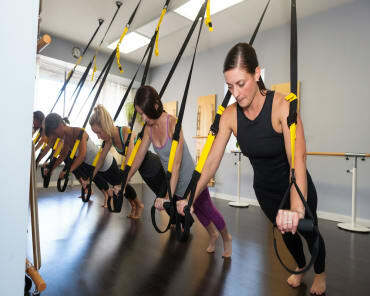 Transform your body and face life with confidence with the help of our Barre Classes in Venice. Just fill out the short form on your screen to learn more!